NPL is the National Premiere League hosted by US Club Soccer for ages U14-U19. It provides both local and national competition, national showcase events, and post-season play-off competition for top teams across the country. Only 7 teams from each age group will be accepted in Minnesota. Acceptance into this league is by application only and will be determined by mid-July. 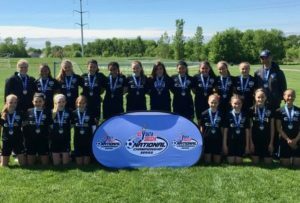 In 2009, the Minnesota Thunder Academy girls program was announced as an inaugural member club of the Elite Clubs National League (ECNL), the highest level of female youth soccer in the United States. The ECNL was founded by forward-thinking Directors of Coaching across the country who saw a need for change in and special commitment to improving the daily environment for American elite female youth soccer players. These directors came together and collaborated to build what would become the top female youth development platform in the world. 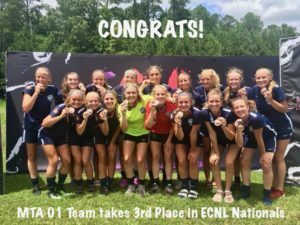 The ECNL continues to be the most progressive and innovative development platform in the country. Minnesota Thunder Academy is proud to be the only Minnesota club selected to compete in the Elite Clubs National League (ECNL). 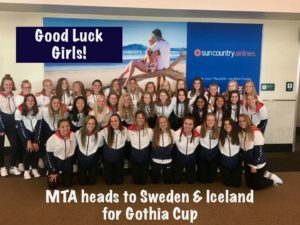 The Minnesota Youth Soccer Association(MYSA) promotes the game of soccer for all youth in Minnesota. They promote the importance of education, self-esteem, diversity and teamwork in a safe, fun environment, allowing players to develop to their fullest potential in soccer and in life. Premier League: The MYSA Premier League is a statewide, inter-Member Club league that serves the highest competitive levels in Minnesota within MYSA. 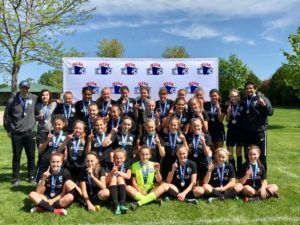 Premier Team: A team that qualifies for placement in a Premier league based on previous season’s state league play, US Youth Soccer Minnesota State Cup finish or the Minnesota Summer State Championships. Twin Cities Soccer Leagues (TCSL) aims to provide the highest quality soccer league experience in Minnesota. Levels: Three levels of play at 9U & 10U (Red, White, Blue) and four levels of play at 11U-14U (National, Regional, State, Cities). MTA Girls Continue to lead the State!